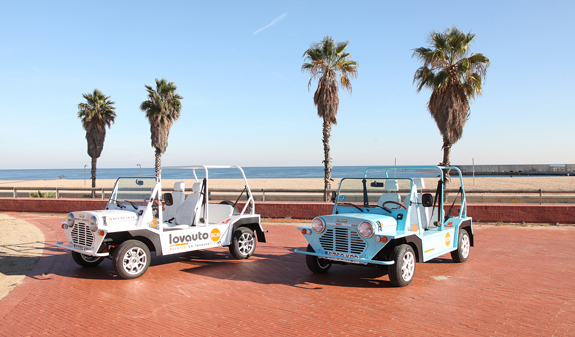 Lovauto BCN brings you a different way of exploring the streets of Barcelona behind the wheel of an iconic, timeless, classic, electric vehicle fitted with a GPS system with a built-in geolocation feature in different languages. If you’ve always dreamt of driving a unique vehicle during your holidays in Barcelona, we’re the hire service you’ve been looking for. 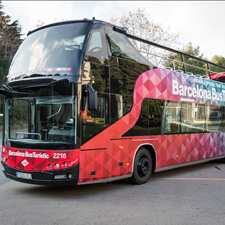 Lovauto BCN brings you vehicle hire with an audioguide with geolocation functionality developed exclusively for its customers in three languages: English, French and Spanish. You can choose from four pre-planned routes featuring information about museums, restaurants, shops and leisure. Explore the places you want to visit the most at your own pace. You can park your electric vehicle at the city’s green and blue street parking zones using the pre-paid parking card provided. You can use the card to obtain a your ticket from the designated parking meters. Book you car by the day, week or month. Citroën Mehari (130-150 km on a full charge). Seats up to four people. Mini Moke (80-100 km on a full charge). Seats up to four people. 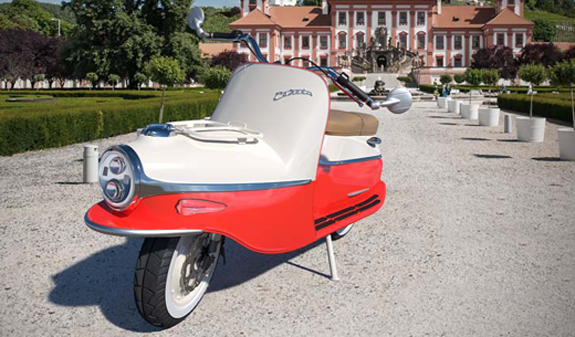 Legendary Cezeta 506 motorbike (150 km on a full charge). Seats up to two people. *When you pick up your vehicle you will need to leave us a credit card as a guarantee and show a valid driving licence. The minimum age to hire a vehicle is 21. 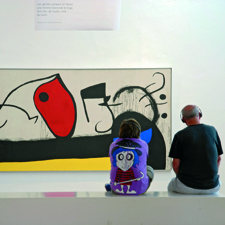 Opening Times: Monday to Saturday, 9am-7pm. 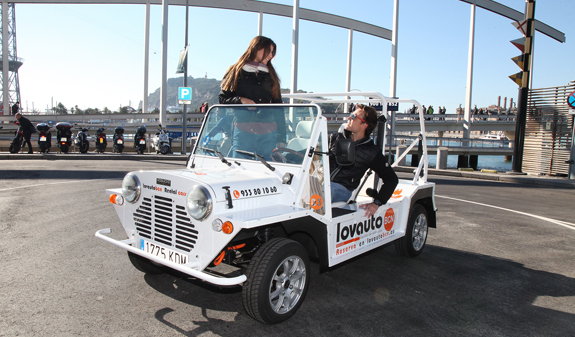 Pick-up and drop-off: Lovauto offices at the World Trade Center, Moll de Barcelona, north ferry terminal (Estació Marítim Nord, ground floor, unit 30). The GPS system finds the location of the charging stations. The hire package also comes with a pre-paid parking card which allows you to park in the green and blue street parking zones. You can use the card to obtain a your ticket from the designated parking meters. 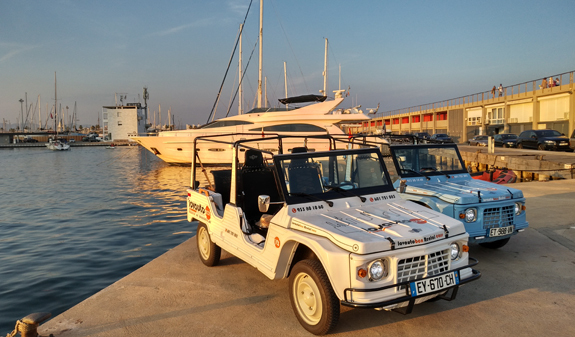 In winter the Mini Mokes and Citroën Meharis come with roof and heating system. In summer you can choose from convertible and semi-convertible models. The Mini Mokes and Citroën Meharis come with a bluetooth radio and a small boot suitable for storing small personal items. 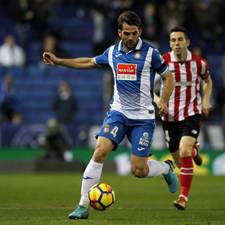 Lovauto BCN also offers its services to incentive trip organisers, members of the travel trade, weddings, audiovisual producers and anyone wanting to organise group activities and cultural events that are truly different. Find out more by contacting reservas@barcelonaturisme.com.